A good wall decoration is very important since it can completely transform the look of your house or office. A house is never complete without beautiful walls. Are you aware of what you may need to add a decorative touch in your house? 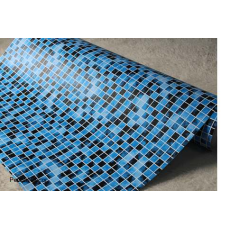 You can make a dull room look more colorful, cheerful and appealing by using blue brick wallpaper. As a person who would like to make your house or office more beautiful, it is recommendable to apply unique wallpapers. If you have little money and you would like to make your walls look fabulous, you can apply modern wallpapers in your house. Wallpapers can cost you less time to install and also less time to remove from the walls. Wallpapers can add much character and style to your house since they come in different colors and patterns. Need to give your house a new look? Visit Petcarl Décor shop to buy classy and unique wallpapers at affordable prices.